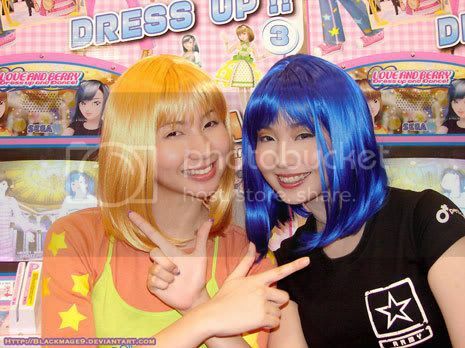 Popular Filipina gamer-blogger-cosplayer sisters Ashley and Alodia Gosiengfiao perform a dance from Sega’s dress-up-and-dance arcade game Love and Berry at H3 2006. See, this is the potential of gamer babes realized. If it had been anyone other than the Gosiengfiao sisters doing this silly dance, a red-blooded gamer guy like me would never mention such a girly game on his blog. Happy Pocky Day, everyone. No, seriously — the popular biscuit sticks have their own official Japanese memorial day on November 11. To celebrate, here’s gravure idol Yui Aragaki doing a silly dance with the sticks. Hey, at least it isn’t an army of dancing babies.